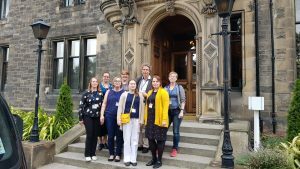 The International Conference on English Historical Linguistics (ICEHL) was organised for the 20th time in Edinburgh on 27–30 August. The conference gathers together English scholars from around the world, studying English from Old to Late Modern. 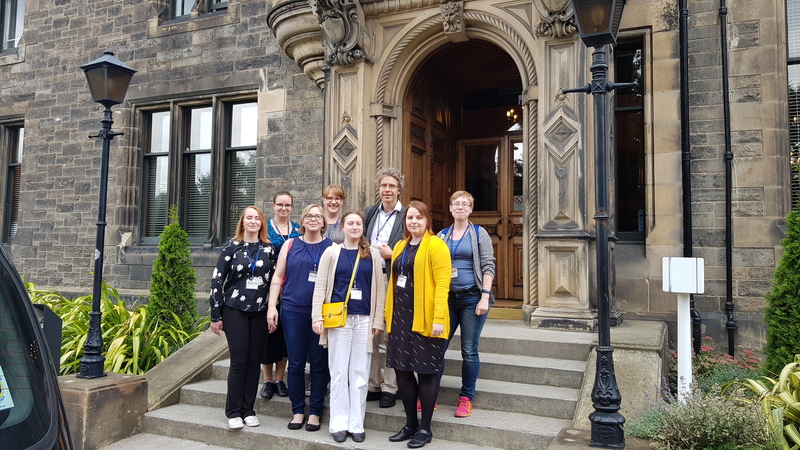 Almost all of our researchers from the Philological Track made it to ICEHL. Matti Peikola, Mari-Liisa Varila, Hanna Salmi (currently at the University of Stockholm), Aino Liira, and Sirkku Ruokkeinen gave papers in the workshop “Paratextual Communication in a Historical Linguistic Perspective”, organised by Matti Peikola and Birte Bös (University of Duisburg-Essen). Matti Peikola and Peter Grund (University of Kansas) presented a paper on orthographical variation together with Johanna Rastas. Aleksi Mäkilähde gave a paper on the metatheory of pragmaphilology. Susanna Mäkinen gave a paper on references to fugitives in runaway slave notices. I gave a paper on the different translations of The Mirror of Alchemy. We were a busy lot! This was my first ICEHL, but I hope it won’t be the last. The conference was packed astonishingly full of great papers and interesting discussions; the programme can be found here. I have never been to a conference with so many excellent papers on fascinating topics that were relevant for my own research. I was especially excited by papers on topics such as medieval Latin-English code-switching, spelling variation and standardisation in the early modern period, and multilingualism in late modern medical discourse. Despite the busy academic programme, there was also time for social events. The conference ceilidh on Tuesday 28 August was especially memorable: it was wonderful to dance and to watch a crowd of other scholars skipping merrily along to the live traditional music. Lots of us also found time to climb up to Arthur’s Seat, the majestic hill right next to the conference location. ICEHL also involved a final day of activities on Friday 31st August. Most of us Turku philologists – unsurprisingly – chose to go to Lindisfarne, the monastic Holy Island where the Anglo-Saxon Lindisfarne Gospels were produced. The weather was astoundingly warm and sunny; we had a glorious day trip filled with island beauty, the island’s old history, and clean sea wind. It was a fitting and excellent ending to a week’s worth of English historical linguistics.